Q. What length and action do you suggest for a fishing rod that I’ll primarily use to fishing spinnerbaits? 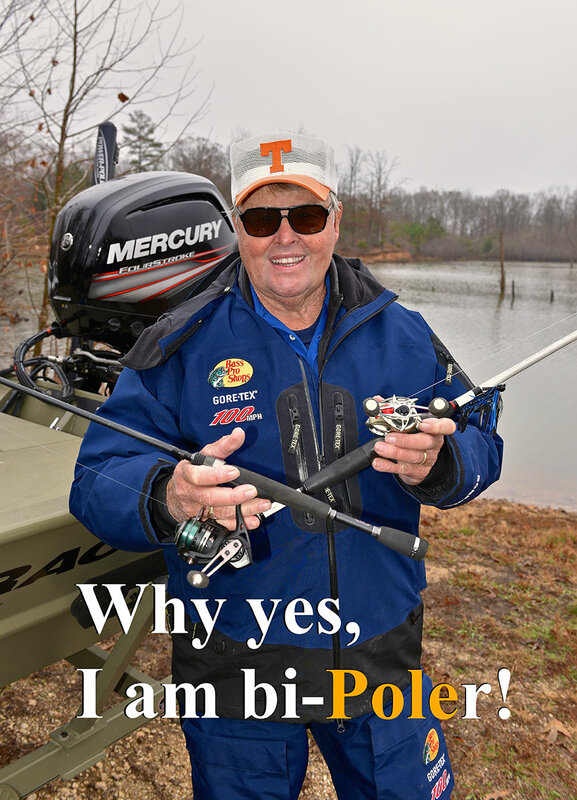 A: Spinnerbait rods vary greatly because of the wide variety of spinnerbait types, sizes and presentation styles. Personal reference and fishing style will dictate the best action for you and may require multiple rods if you fish a variety of spinnerbaits. Generally, the lighter baits, such as a 1/4- and 3/8-ounce spinnerbaits, are fished on 6- to 6 1/2-foot rods, particularly if you are fishing cover and accuracy is critical! Now for open water of heavier baits, such as 1/2- to 3/4-ounce spinnerbaits, with 6 1/2- to 7-foot rods is a better choice. A good spinnerbait rod should have a moderate taper with medium to medium-heavy action, so the relatively soft, responsive tip that will vibrate easily from the turning of the spinnerbait’s blade. This is critical to maintain contact with the bait. The tip should also flex well enough to the quick reaction strike of a fish hitting a spinnerbait–as the size of the lure increases, more backbone is necessary and actions should be moved up from medium to medium-heavy. Q. What lures are most effective for fishing the outside edge of a submerged grass line? A: Many different lures will work, but three of my most productive are: a plastic worm rigged Texas-style (I fish it on top of the submerged cover and just off the edge, using the lightest sinker I can get away with); a crankbait fished deep along the outer edges; and a willow-bladed spinnerbait, slow-rolled along the shallower portions of the drop and deeper, along the outer portion. With each of these lures, I try to parallel the edge as much as possible. Q. I’ve been plastic worm fishing for years, mostly fishing the Texas rig, and would like to begin fishing the Carolina rig. What’s the best rod action and length for the application? A: A good Caroline rig rod is usually 7-foot or longer in a medium-heavy to heavy action. The long rod allows you to make to long cast and to effectively handle the long leader handing from the rod tip which sometimes is 3-foot or longer depending on the terrain and cover you’re fishing. As with a standard worm rod you need excellent sensitivity to help you feel bottom structure and cover and detect subtle strikes. The medium-heavy to heavy action will provide the rod with the backbone needed to get a hooked fish through heavy cover and provide a good solid hook-set time after time. Q: Do you have any suggestions on how to catch summer bass out of farm ponds? A: Well, during the heat of summer, most ponds and natural lakes lack enough oxygen down below. So the bass rely on shallow water where there is a little oxygen-rich band. The biggest mistake anglers make is fishing for the bass in low-oxygen area, thinking summertime bass ought to be deep. Keep this in mind the next time you go. A couple of other tips for summer fishing that I’d like to cast you way, is to fish slow-moving lures, like a plastic worm or lizard, rigged with the lightest weight you can use. Make repeated casts to the same area, because the fish are normally very inactive when the water temps are high. If the bass are active and in a chasing mood next summer, try a 1/8- to 1/4-ounce spinnerbait or a very shallow-diving crankbait that runs a foot or so.